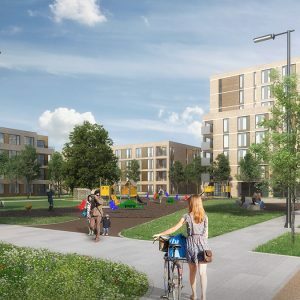 The Marlet Property Group Limited have been granted planning permission by An Bord Pleanála for a strategic housing development at former CIE Lands in Cabra, Dublin 7. 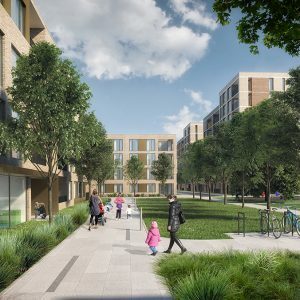 The Cabra development forms just one element within Marlet’s ‘Dublin Living’ scheme – Ireland’s largest ever Private Rented Sector (PRS) public offering comprising 1,170 units across the capital on sites which it owns in conjunction with its finance partner, the international asset manager, M&G Investments. 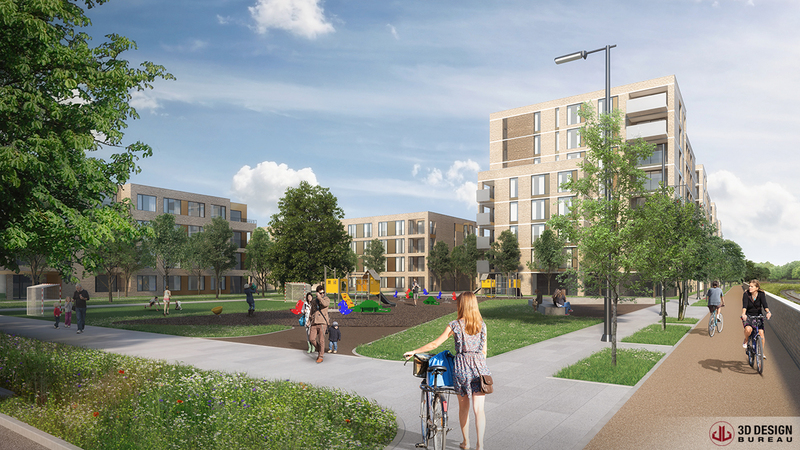 The ‘Dublin Living’ portfolio also includes sites at Mount Argus, St Clare’s in Harold’s Cross and at Bluebell. 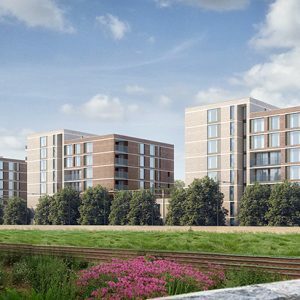 #Team3DDB produced a series of CGIs, Verifed View Montages and Shadow Study for this scheme, all of which were used to successfully secure planning through the fast track planning process. 420 no. residential units (419 no. apartments and 1 no. house) comprising 93 no. 1 bed, 260 no. 2 bed and 66 no. 3 bed units. Neighbourhood centre comprising of 4 no. retail / café / restaurant units including a convenience supermarket with ancillary off licence (1,718.7 sq.m.- Unit 2), Unit 1 (143.9 sq.m. ), Unit 3 (464.4 sq.m. ), Unit 4 (467.5 sq.m. ), office (101.6sq.m.). 484 no. bicycle parking spaces (368 no. at basement level and 116 no. at surface level) on a site of 3.89 hectares. 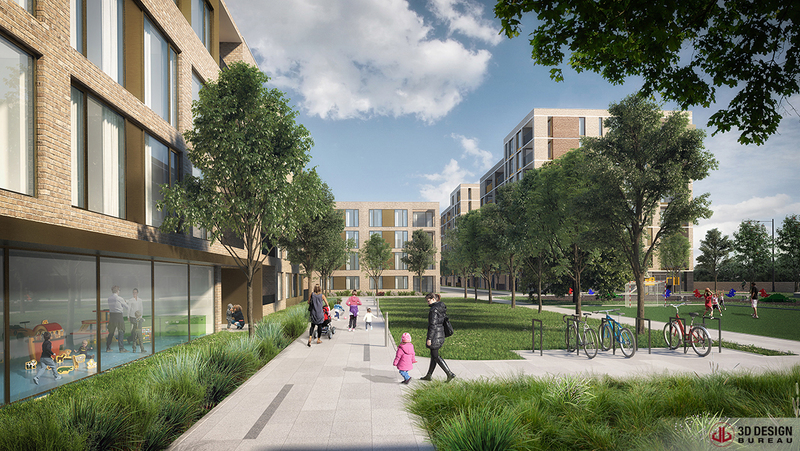 The proposed development will comprise of 9 no. Blocks (A – I) ranging in height from part single / part 2 no. storey to 8 no. storeys in height and will include public and communal open space, private open space associated with each residential unit, public art, landscaping, children’s play area, fascia signage associated with each retail unit, resident amenities including gym, meeting rooms, postal storage centre, and reception, a service / loading bay located to the rear of Block A along the western boundary of the site, 3 no. substations and switch rooms, pump room, controlled access gates to the north access point off Faussagh Avenue. Developer: Marlet Property Group Limited – Marlet is a diverse property group founded by Patrick Crean in 2014. The company has grown to become one of Ireland’s largest property development companies. Architect: Plus Architecture – Plus Architecture is a Dublin-based architectural studio established in 2011 with a strong design ethos. Assigned Certifier: i3PT Certification (i3PT) is the leading independent Assigned Certification firm operating in Ireland. The firm employs a multi-disciplinary team who have been trained to audit and certify buildings under our rigourous certification scheme. i3PT Certification operates to the ISO 17065 standard, which ensures competence and impartiality. Planning Consultant: John Spain Associates – Estabhlished in 1996, John Spain Associates provide planning consultancy services and have expertise in a wide variety of planning projects from site appraisals and domestic scale developments to major urban and rural, brownfield and green-field developments. Environmental Engineer: AWN Consulting Ltd – offer a comprehensive package of services in respect of risk management, air quality modelling, licensing assistance, water/waste management and also have a dedicated and experienced acoustics team. Transport Consultant: ILTP Consulting – ILTP is Ireland’s leading independent Land Use and Transport Planning Consultancy providing high quality service to public and private sector clients. 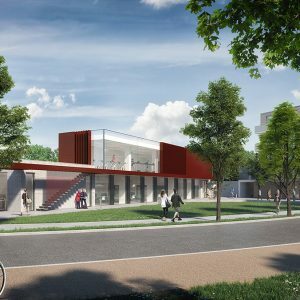 CGI Consultants: 3D Design Bureau – are specialists in Architectural Visualisation, BIM and VR – Delivering Quality Design Planning and Marketing Solutions. 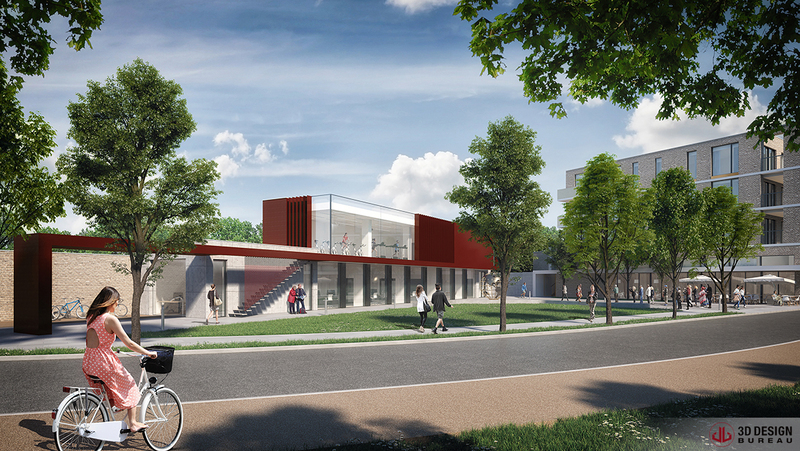 For this project, the team created a series of Verified View Montages, Architectural Renderings and Shadow Study, all of which were used in the planning process.